Man Meets with Judge in Fatal Pizzeria Crash Case | Schafer Law Firm, P.A. A real estate broker is to meet with a judge to say whether he will plead guilty or not guilty in a fatal crash. 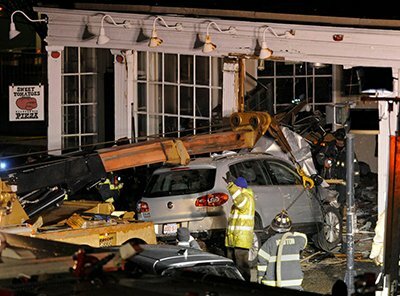 The defendant was involved in a crash into Sweet Tomatoes pizzeria in West Newton, Massachusetts that killed two customers and injured seven others. The man has been charged with two counts of motor vehicle homicide and one count of operating a motor vehicle to endanger. He is also facing a wrongful death lawsuit in Middlesex Superior Court by the family of one of the crash victims. The defendant has blamed health issues and faulty brakes for the crash.